Filmstaden is a unique memorial to the Swedish film history and the art of film. The architecture was created in the transitional phase between national romanticism and neo classicism, designed by architect Ebbe Crone. Mr Crone had had an architectural business in Berlin. Before the First World War he made several visits to big German film studios in Neu Babelsberg, and was particularly interested in their steel constructions, much similar to the one in the Eiffel Tower. Crone later used this technique in the two glass studios in Filmstaden. 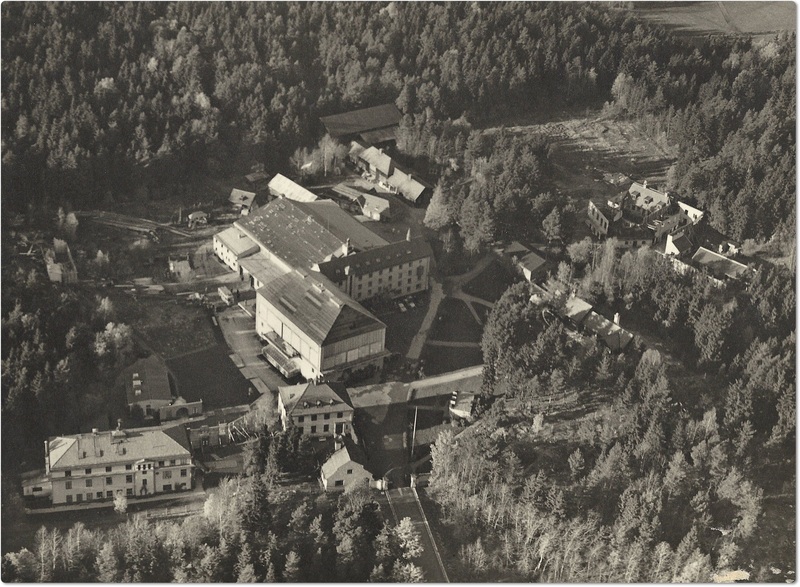 The area around Filmstaden was initially a rural landscape, perfect for the recording of outdoor scenes. The facilities for Film Storage and Film Technology were therefore built on land that had frequently been used for exterior scenes. 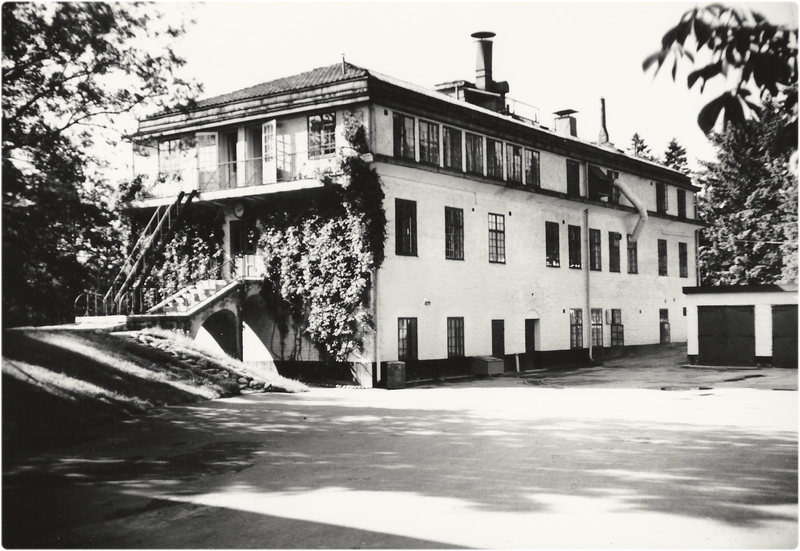 When inaugurated in 1920, Råsunda Filmstaden was the world’s most modern facility of its kind. It had workshops, dressing rooms, office space, a film laboratory, film storages, a directors’ pavilion, storage rooms, a restaurant – and most importantly – two large film studios with the roofs and three out of four walls made of glass. 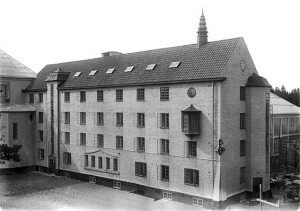 During the 1940s and 1950s, blocks of flats were built close to Filmstaden. The old simple fence had to be replaced by a concrete wall. In 2000, large parts of Filmstaden were demolished. Fortunately the eastern part right next to the entrance, also the most precious part in terms of cultural history, is preserved. The two remaining buildings and their surroundings are now protected against demolition and modification with a detailed local plan. 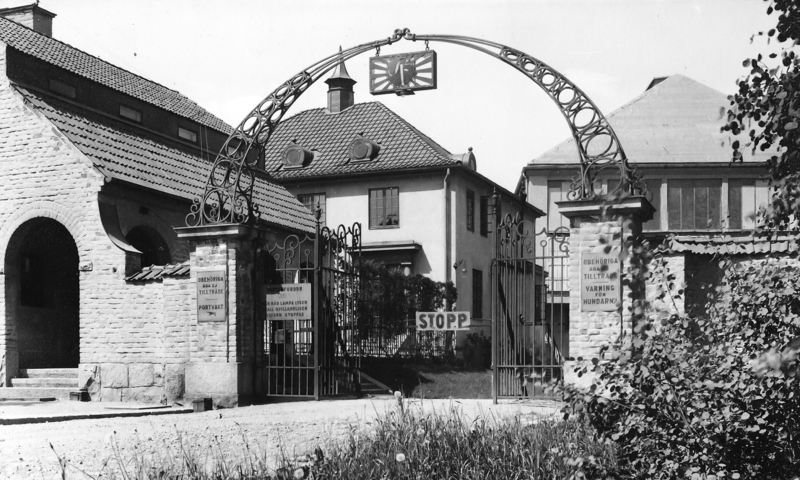 The Gatekeeper’s House, the Administration House, the Laboratory House and the Directors’ Pavilion are all that is left of the old Filmstaden. The reddish brown, beautiful polished old buildings are embedded in a well-preserved park environment with high trees between roads and parking spaces. 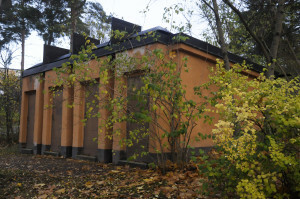 The Little Studio and the Dressing Room have been restored and are today used as offices, for example by Swedish Film Industry. Many of the remaining details in the area are featured in movies. Filmstaden’s old movie theatre, decorated in a classical 1920´s style, is still open to the public. The building company Skanska together with HSB, a cooperative housing association, have built a total of 559 condominiums in the area. From small studios to large terraced apartments, they are divided into seven blocks. All but one block have been named after old movie theatres: Kasematten, Rialto, Palladium, Rival, Garbio, Flamman and Röda Kvarn. The streets are named after directors and actors; Greta Garbo’s Road, Julius Jaenzon´s Road, Ingrid Bergman’s Road, Ingmar Bergman’s Plaza, Edvin Adolphson´s Road, Thor Modéen´s Square, Dagmar Ebbesen´s Road, Viktor Sjöström´s Road and Mauritz Stiller’s Road. Entering underneath the portal is still a magical experience. It is quite obvious that the architects were inspired by the environments´ history when combining flats and workplaces with culture. The have won several awards for their magnificent work. The gatekeeper’s lodge next to the entrance is a one-floor building with a brick façade and a hip roof. The long side that faces the entrance is a passage, shaped like an open rounded arcade. The gatekeeper’s lodge was staffed day and night. There was a gate with a big stop sign on the other side of the arcade. The gatekeeper was responsible for both the safety and the handling of the hazardous nitrate film. He had two guard dogs to help him. 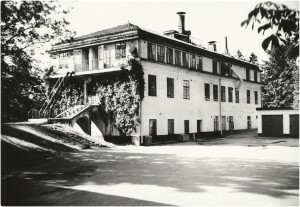 The house is now owned by Filmstaden Culture Foundation. They work hard to look after this unique heritage of cinematic history. During weekends they host a very popular waffle café. 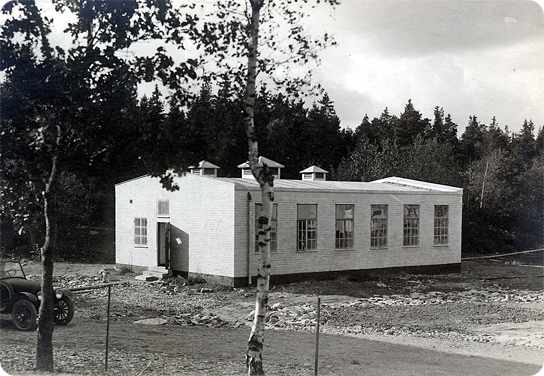 The administration building is a two-floor building with grouted facades and a hip roof. The production management had their office here, and this was where the pay checks were handed out and the contracts signed between the actors and the corporation. Today the house is rented by SDI-media, a company that dubs cartoons and translates subtitles. The building has six sound studios. The laboratory has three floors, a high hip roof and a brick façade. Developing, rinsing, copying, toning, cutting and assembling film used to be quite dangerous and required a lot of space, which explains the special character of the building. Because the nitrate film was very explosive, the foundation had to be made of massive concrete and bricks. The film was later distributed to cinemas across the country. Today the building houses Universal Pictures and the artist Aja Murray. The director Victor Sjöström and photographer Mauritz Stiller edited their movies and created film art in this pavilion. The shape of the building mirrors the high demands on heat resistant and fireproof constructions. 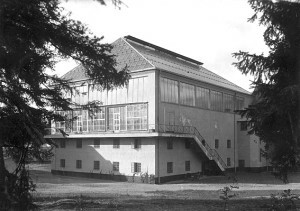 When the directors later moved to other facilities, the pavilion was extended and its premises used as cutting rooms. Today it is a famous restaurant that goes by the name of Regissörsvillan. 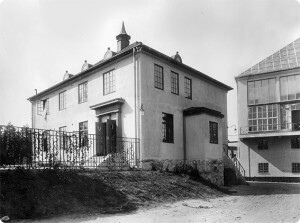 The first movie to ever be recorded in Filmstaden was ”the Phantom Carriage”, shot in the Little Studio. This is also where all the silent movies where recorded. The small studio housed several rehearsal rooms and film studios, the largest one on the top floor. In order to use the daylight while shooting, the walls and roof were made of glass. 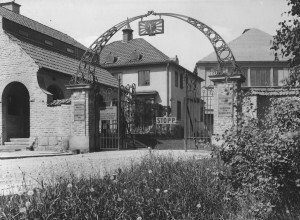 The studio was used even after the introduction of sound. The rotating stage could easily be moved in order to follow the light while shooting during the day. The ground floor housed the props storage, the camera storage, the camera assistants’ office as well as a small cinema with 24 seats, also known as ”the Opera”, where one could watch the daily shots. The small cinema is now called the Bergman lounge. It still has 24 seats and has been carefully restored. It is a high and extended brick house, built in a national romantic style. 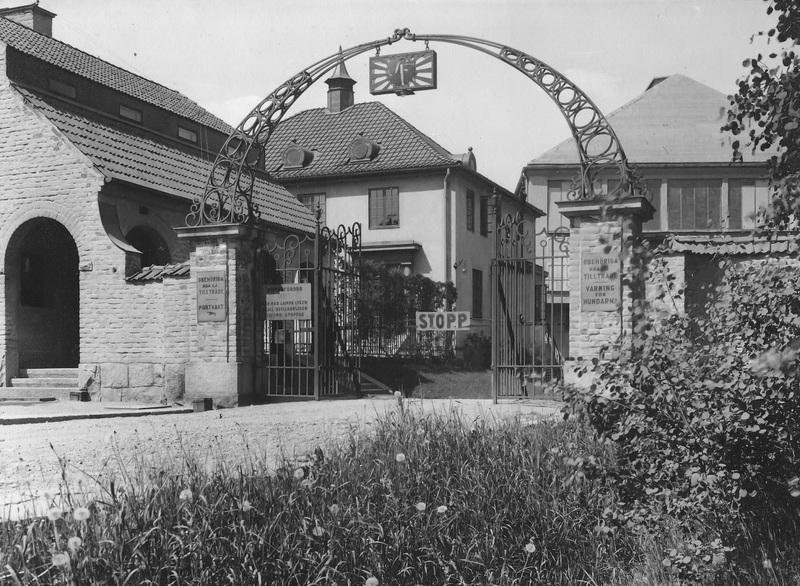 It housed the directors´ offices, actors´ dressing rooms, closets, costume department, workshops, etc. The production manager and the studio manager had their offices on the ground floor. The first floor housed make up rooms, dressing rooms and the tailors. Ingmar Bergman had his office here, with a magnificent view over the portal. The building’s exterior is very well preserved. The low wooden house is built in a national romantic style with tarred wood panelling, mullioned windows, old country house chimneys and a romantic vestibule terrace. It used to be the staff dining room and has figured in several movies as a mountain cabin. 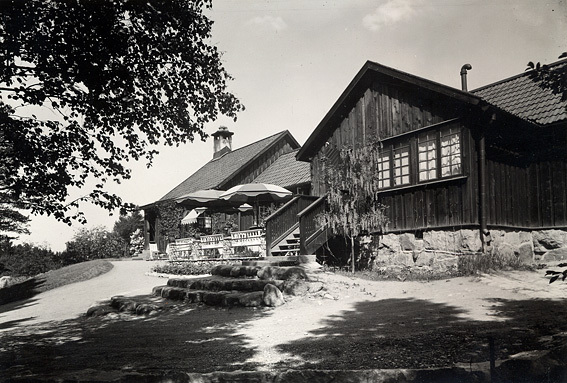 It is still a restaurant, today called Backstugan. A casemate is a concrete building with storage units, primed with sprinklers and chimneys. This is where the highly explosive nitrate film was stored. The Big Studio, the Carpenters´ Studio and the Painters´ Studio are not left.